As the adoption of e-Commerce grows rapidly, there are new online shopping platforms and portals being launched regularly, and a tremendous competition for customers. Not every e-Commerce platform thrives or even survives. To survive and emerge as a market leader, the product or platform needs to match customer expectation in performance. In general, for all web applications and software products, products that perform consistently and match customer expectations gain market share, while the ones that fail to do so die a quiet death. ‘Survival of the fittest’ sure works in this era of global competition. 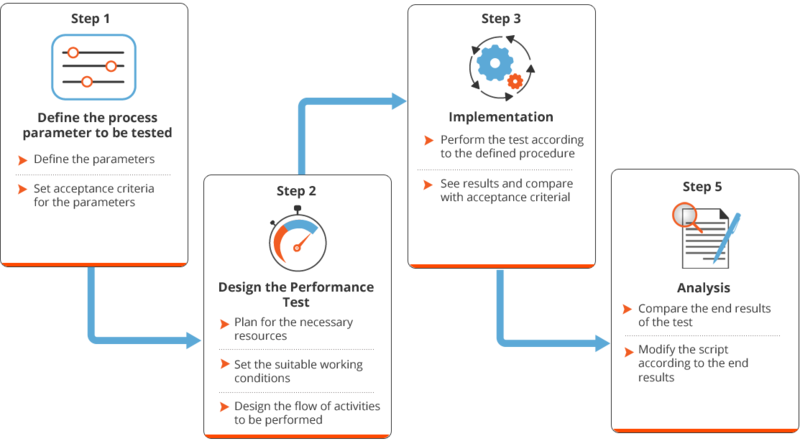 In this scenario, Performance Testing is key to ensuring that your product is ‘fit’ and performs optimally at all the situations. A consumer has multiple options to choose from, and even a single unpleasant experience with your product can lead to permanent loss of business from her. Sales promotions such as flash sales, seasonal discounts, etc. can lead to a sudden surge in users and load. The product must sustain and perform well in these extreme conditions. A performance failure at such times affects the entire campaign badly. This not only hampers sales but also wastes the money invested in advertising and marketing for the campaign. This also results in drop in the customer loyalty. For these reasons, the importance of Performance Testing cannot be overstated. Performance Testing is a crucial step in the product testing cycle where the software is tested for its responsiveness and stability under extreme workloads. It is essential to carry out Performance Testing before the product is released in the market. Performance testing is not an expense, but a wise investment made in your own product and customer delight. Any software product is expected to carry out its intended task while offering the optimum customer experience. This means that user experience is as important as the core features of the product.  Product performance also plays an important role in creating an overall product perception. Failure of a small part of the product may hamper its overall performance. For instance, the graph below shows how the abandonment rate of shopping carts in e-Commerce increases sharply with a small increment in the page load time. If a platform or application is launched without Performance Testing, it is likely to encounter many problems affecting its performance and ultimately hampering the brand value. Doubts about quality and integrity of the corporate brand will also rub off on the sales of other products from the same stable. What Should we Test For? Load testing: Load testing is carried out to test whether the product can handle and perform well at anticipated loads. This process also involves identifying possible bottlenecks and resolving them. For instance, consider an e-commerce platform that offers multiple payment channels. If any of the channels fails then there are chances that bottlenecks will be created at the other channels and result in a slow response. Such uncertainty is always undesirable. Load testing helps to identify these possible bottlenecks. Endurance testing: Endurance testing is carried out to examine if the software can handle the expected load, at a stretch, for a desired time frame. It helps to determine for how long a software can sustain the expected load. Endurance testing is crucial especially for e-commerce platforms selling through flash sales and experiencing festive or seasonal surges. Stress testing: Stress testing is carried out to identify at what load conditions the product is susceptible to failure. Spike testing: Spike testing tests the product performance for sudden spikes in the user load. In this age of flash sales and viral marketing, the idea of launching a product without spike tests is disastrous! Volume testing: This tests the software’s ability to handle large databases. The objective is to test the software’s performance for varying database loads. Scalability testing: Scalability testing tests the software for its scaling capabilities and helps to plan for increase in user loads. It is critical for the stable expansion of the product. Scalability testing has to be carried out considering the long term expansion and diversification plans of the software or application.